Dr. Ruth Jones Nichols stands at her kitchen counter, slicing strawberries and apples for a summer salad. She places the fruit on a bed of fresh spinach, sprinkles on some raw almonds and drizzles with raspberry vinaigrette. Food has taken on a deeper meaning for her in the last two years, both in her personal life and in her career. At home, she uses cooking as a way to bond with her stepdaughter. As CEO of the Foodbank of Southeastern Virginia and the Eastern Shore, she’s at the helm of feeding hungry families throughout Coastal Virginia. Inside her home in Chesapeake’s Great Bridge, Jones Nichols is surrounded by spectrum of warm tones: rich, wooden cabinets and black granite countertops in the kitchen, dark wood table, chairs and vases in the adjacent dining room and orange-and-red-hued décor purposefully placed throughout the living room. Beside the dining room, a three-season room featuring floor-to-ceiling windows provides a gracious view of the lush, tree-lined backyard. “It’s amazing in terms of just being able to enjoy the outdoors,” she says. 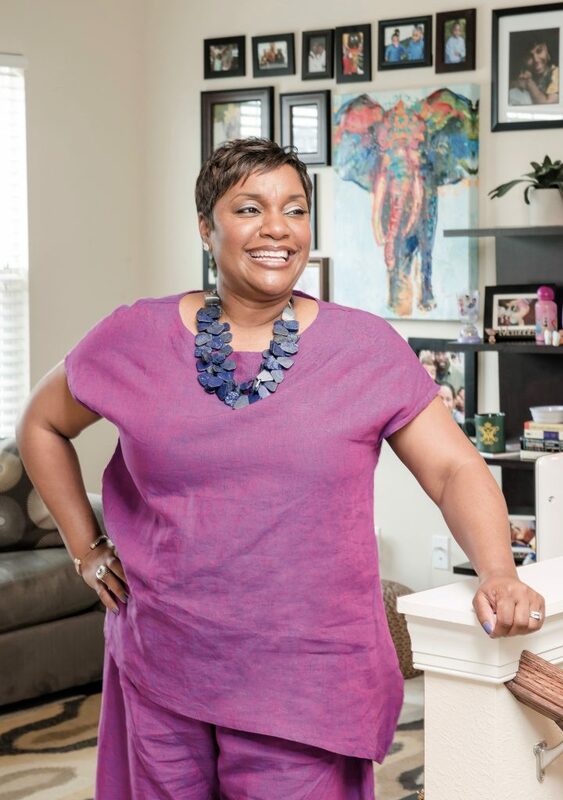 Jones Nichols and her family have only lived here since October, but already they’re enjoying the neighborhood’s convenient location, diversity and family feel. And along with living in a brand-new house, Nichols is settling into new family roles. She and her husband, Breon, were married in 2015, and she now shares a life with her 12-year-old stepdaughter and 10-year-old stepson. Jones Nichols takes the opportunity to wear art as often as she can. Her necklace was created by D.C. based friend, Nakia Fisher, who designs jewelry for the brand Ai’kan (pronounced Icon but also Nakia’s name spelled backward). Fisher inspired her to begin making her own beaded jewelry as well. A prominent feature in the Nichols home is a vast collection of art. This passion began for Jones Nichols in college. 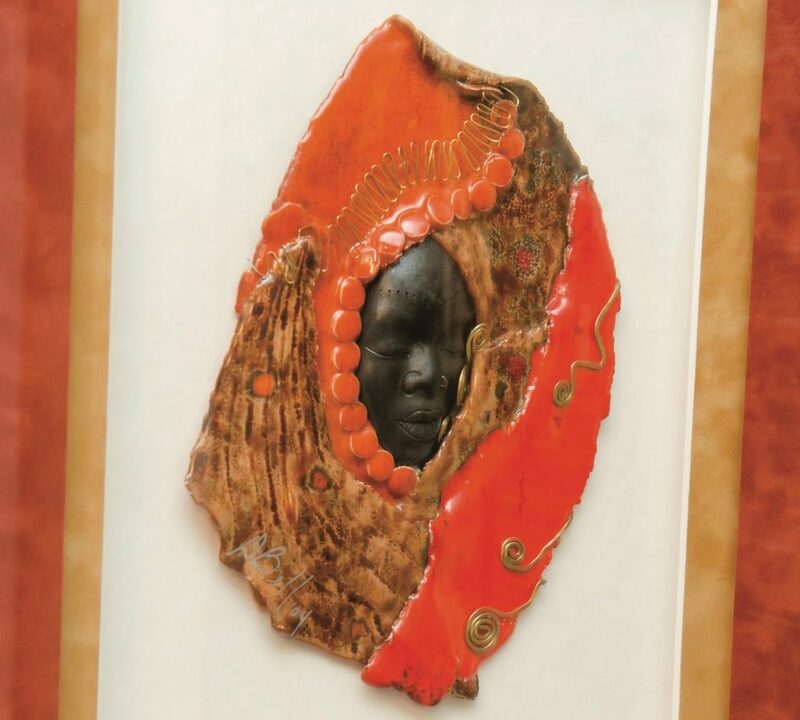 In the dining room and in her home office are mixed media masks representing womanhood by a Washington, D.C.-based artist, Deirdre Bell. 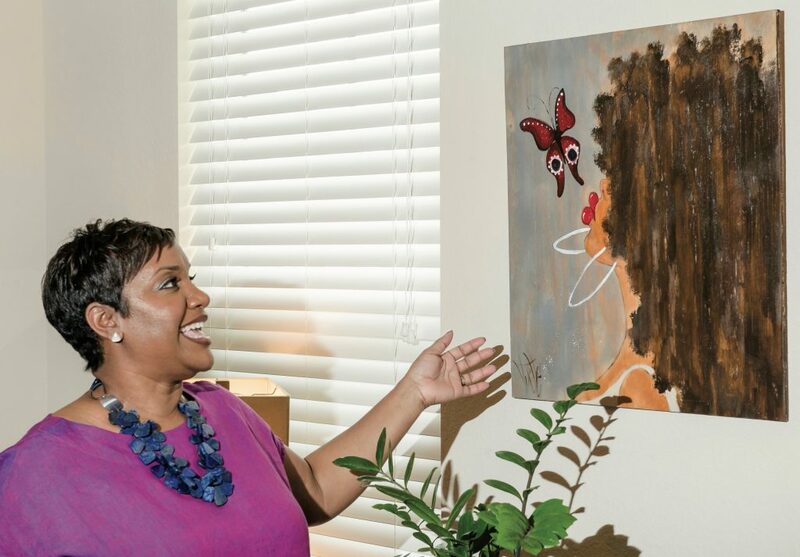 “Typically, the art that I choose will have some type of womanhood focus, and I really love African American art,” she says. Womanhood mask from D.C.-based artist Deirdre Bell. Her interests have expanded throughout the years, progressing from limited edition pieces to clay to etched art. “I love textured pieces, so if something has wood or metal in addition to acrylic paint, I find myself drawn to it,” Jones Nichols says. She’s owned some of the pieces in her collection for 20 years. Upstairs, contemporary jazz music drifts from Breon’s media room, a comfortable space, flowing with natural sunlight, where he can watch TV and relax. 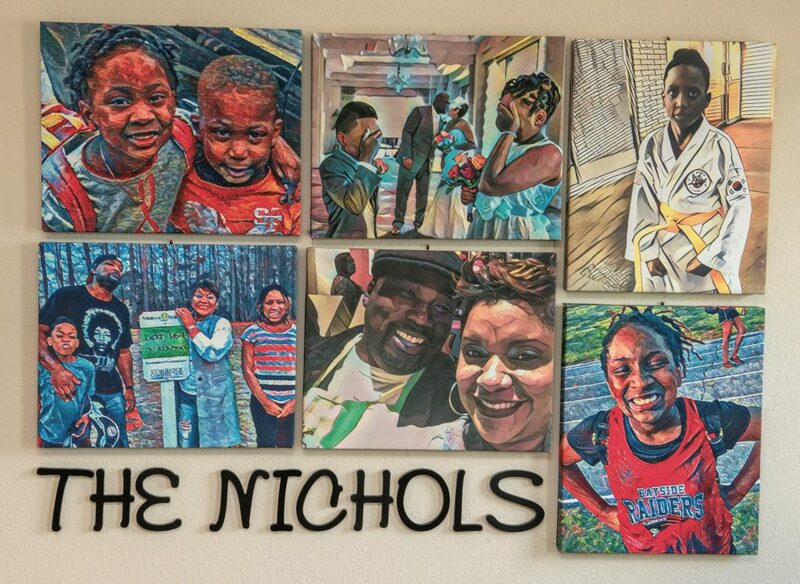 A canvas photomontage portrays significant moments in the Nichols’ family journey. One of Jones Nichols’ most important values is her faith. “Faith is a strong part of who I am, and it has been that way since I grew up,” she says. She attends church with her family on Sundays and often relates the sermons to her own life. Photo by Heather Wynn. 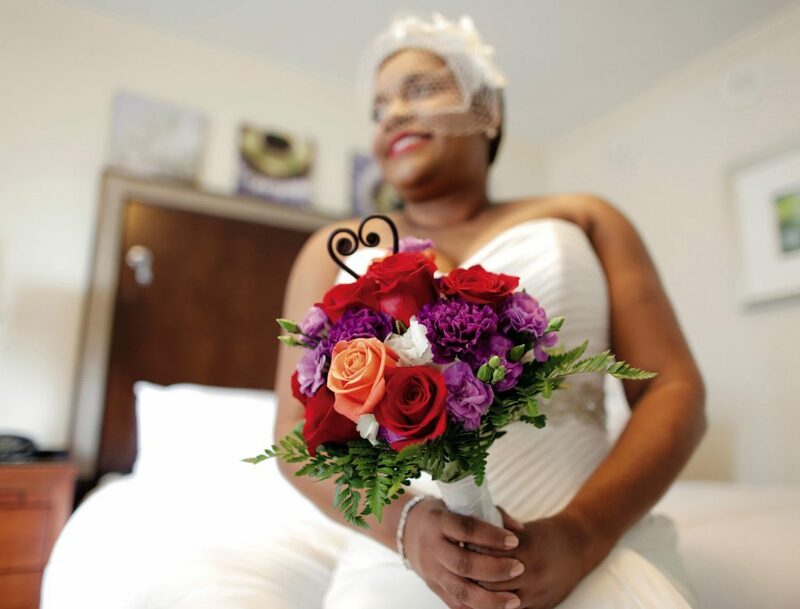 For her wedding bouquet, Jones Nichols asked the florists at The New Leaf in Norfolk to create a West African Adinkra symbol called Sankofa, meaning importance of learning from the past. Jones Nichols has relied on her faith throughout the years as she faced some of life’s toughest challenges and changes. The most recent shift came in the form of a career change that no one—not even Jones herself—was expecting. 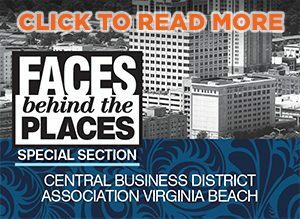 From 2012–2015, she served as the executive director of the YWCA South Hampton Roads, a job that brought back her back to this area from a career in Washington, D.C. In many ways, she was the perfect candidate for the executive director position, not only because of her background in social work and her leadership skills, but because of a personal connection she had to the organization. When she was a child, her family sought refuge at the YMCA’s domestic violence shelter after her mother had become a victim of domestic violence. In September 2015, she made the decision to leave the YMCA. She completed her dissertation that December and earned her Ph.D. the next spring. In January 2016, she began a new journey with the Foodbank. “I had to focus on completing something that’s been out there for a long time and just try to begin to understand what it means to be a wife and a stepmom and part of a family that’s kind of already packaged,” she says. 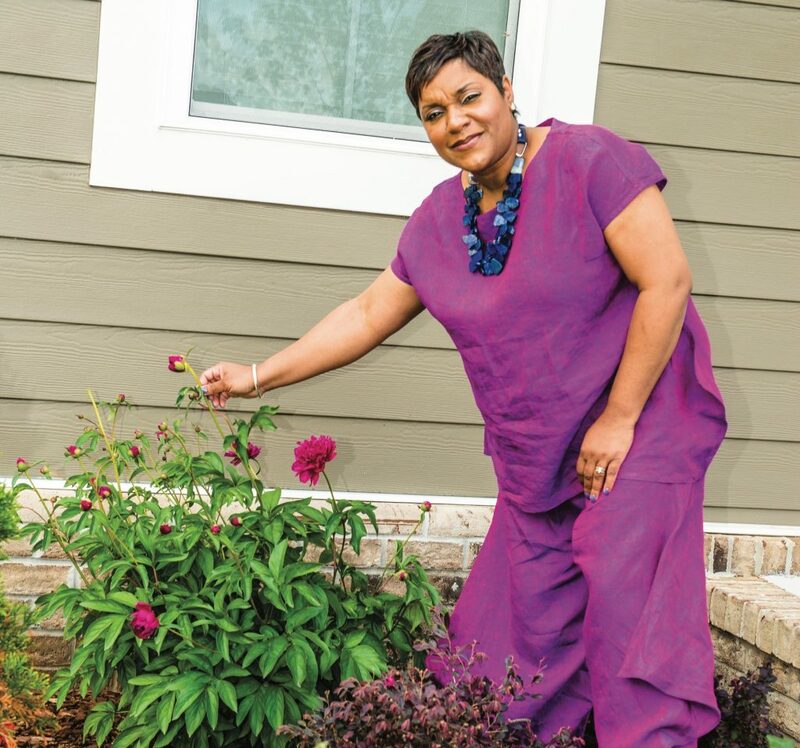 “When I’m not doing Foodbank stuff or sorority things, I’ve been in the garden,” she says.